From the beginning, Ron Stallworth wanted to work undercover; he didn’t like uniforms. He got his wish when he became part of a long-term infiltration of a chapter of the Ku Klux Klan. Wearing joggers, a hat and an “inside a black man’s mind” shirt during his speech on Jan. 5 at Weber State University, Stallworth said Utah’s allure while he was being recruited was the fact he would not have to wear a uniform. 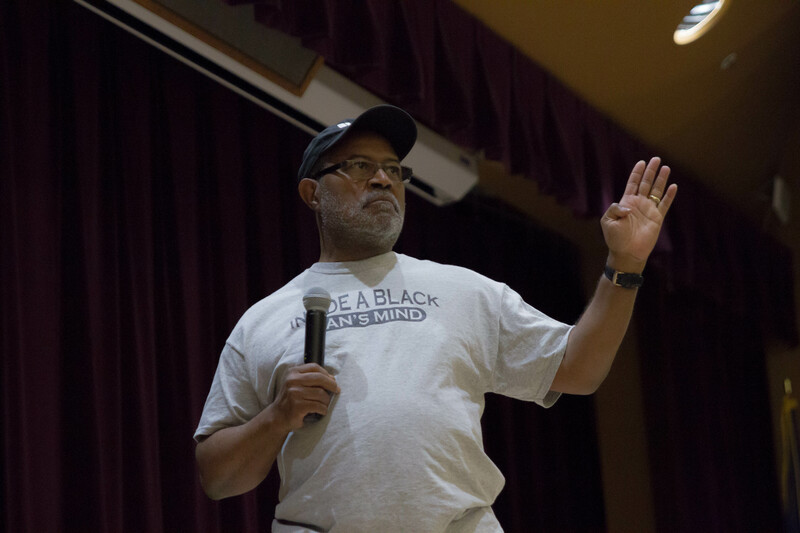 Stallworth, subject of the Spike Lee film “BlacKkKlansman” and a 20-year Utah narcotics and liquor enforcement investigator, recounted his story to a full Wildcat Theater. He began his career in Colorado, then moved from Arizona to Wyoming and then to Utah after James Gillespie, WSU’s Chief Diversity Officer Adrienne Andrews’ father, recruited him. While he worked across four states and had a career that spanned over three decades, Stallworth has said that his most significant career moment was when he infiltrated a chapter of Colorado’s Ku Klux Klan. He broke the story to a Deseret News reporter when he was retiring in 2006 and wrote a book about it. Now, the book has turned into a movie with six Oscar nominations. 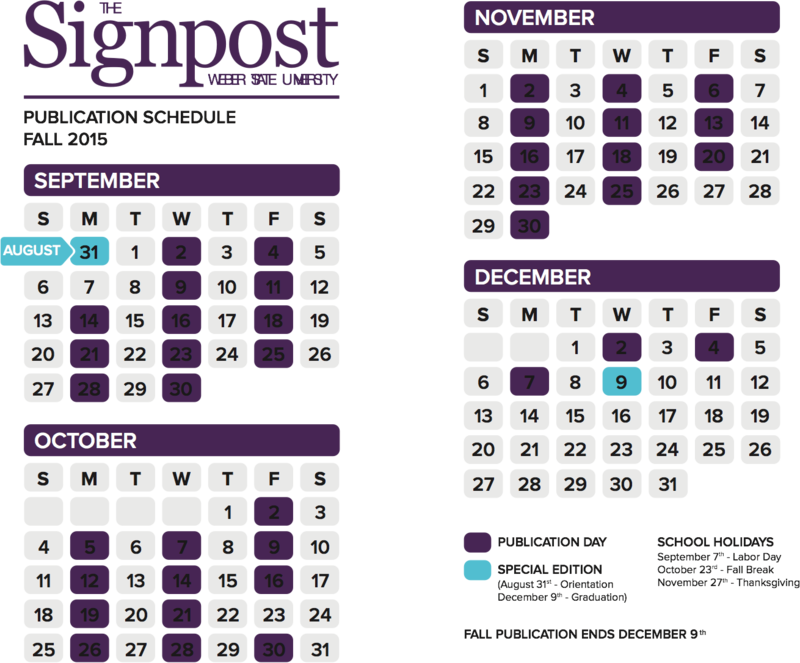 It was part of Stallworth’s job under the Intelligence Division in Colorado Springs to monitor three local newspapers. While going through one newspaper, Stallworth saw an ad for the Ku Klux Klan. He wrote a letter to the P.O. Box listed on the ad, listing off racial slurs and saying he hated anyone who was not pure, Aryan white like he was. He wrote that he wanted to stop the abuse of the white race. Finally, he signed the letter with his real name, which he admitted could have ended his undercover work. A week later, Stallworth received a call on his undercover, untraceable phone line. It was the local chapter leader of the KKK. Asked why he wanted to join, Stallworth said that he repeated the sentiments of the letter, spiced up a bit. Stallworth was working off the cuff. He had a week to put a plan in motion to meet the local chapter of the KKK. He orchestrated everything, talking on the phone as a white man; he just needed someone to be his stand-in for face-to-face interactions. Stallworth said he was stubborn and would not let go and in turn received the support from his sergeant and chief. While Chuck met with KKK members, Stallworth found a way to have phone conversations with David Duke, then the Grand Wizard of the KKK. One day, Stallworth asked Duke how he would feel if received a call from a black man pretending to be white. Duke said he did not worry about that, claiming he could tell the difference. Without planning, Stallworth’s investigation was beginning to affect KKK members. Through phone calls and meetings, officers learned about planned rallies and would disrupt the KKK’s plans. The Air Force Office of Special Investigations visited Stallworth; he told them his story and showed them his files, which included a list of local KKK member names. Stallworth was then taken to the North American Aerospace Defense Command where he met someone who introduced himself as the deputy commander. The deputy commander went through Stallworth’s list, made a phone call and left. Stallworth was then told two klansmen on his list had top security clearance and were working in the consulate, a highly-sensitive job. As a result of his investigation, these men were uncovered. The government classified them as a national security threat and ordered them gone by the end of the day. During the investigation, Stallworth was asked to work as Duke’s bodyguard during his visit to Colorado Springs. Stallworth said Duke was a “hell of a conversationalist” and pleasant guy. During the trip, Duke agreed to take a picture with Stallworth. Duke initially said he wouldn’t allow Stallworth to put his arm around him, but at the last second he did. Both men tried to keep the polaroid photograph, Duke not wanting the public to see. Stallworth ended up with the photo and told Duke if he tried to grab it from him, he would arrest Duke for assaulting an officer. Stallworth is often asked what he felt in that moment. The investigation ended abruptly after. Once he was voted leader of the local chapter, Stallworth was told to stop. He took two notebooks of the investigation home, which was a violation that could have ended his career. Stallworth spoke about the stages of writing his book, crediting his sophomore English teacher, Mr. Bode, as the person who planted the seed that he could write. Stallworth also touched on current events in his speech. He said when people wear Donald Trump’s “Make America Great Again” hats, we need to translate it for what it is: make America white again. People who wear that hat, according to Stallworth, want to go back to a time when America was a white-dominated society and black people had to be subservient. Andrews, who has known Stallworth since she was 11 years old, said he offers a keen insight when society does not interrogate racism. She wanted students to take away the message that the public can challenge systems of oppression. “When institutions harm one of us, they really can harm all of us,” Andrews said. Dr. Forrest Crawford, WSU professor, said Stallworth’s story is inspiring and a reminder that there are stories within all communities that should be shared.